Okay so these two hotties killed it in front of the camera!! Nicole and Phillip booked me for their wedding awhile back and I was so excited to finally get to meet them. They traveled all the way from Charleston SC and Atlanta to Arkansas for their engagement session and it was so fun getting to know them. 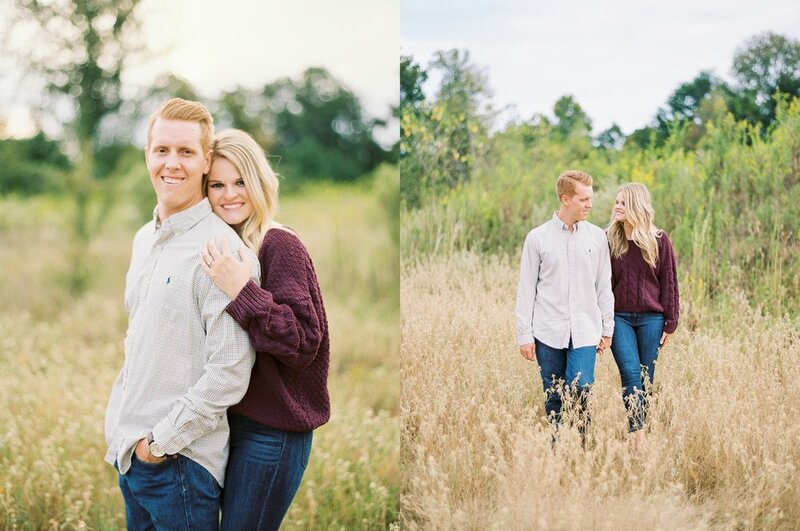 Today I'm sharing part 1 of their session that we photographed in a beautiful fall field. I'm obsessed with Nicole's pretty dress and the way that sweater pops against the golden grass. I'm beyond excited for their wedding in Little Rock next year. 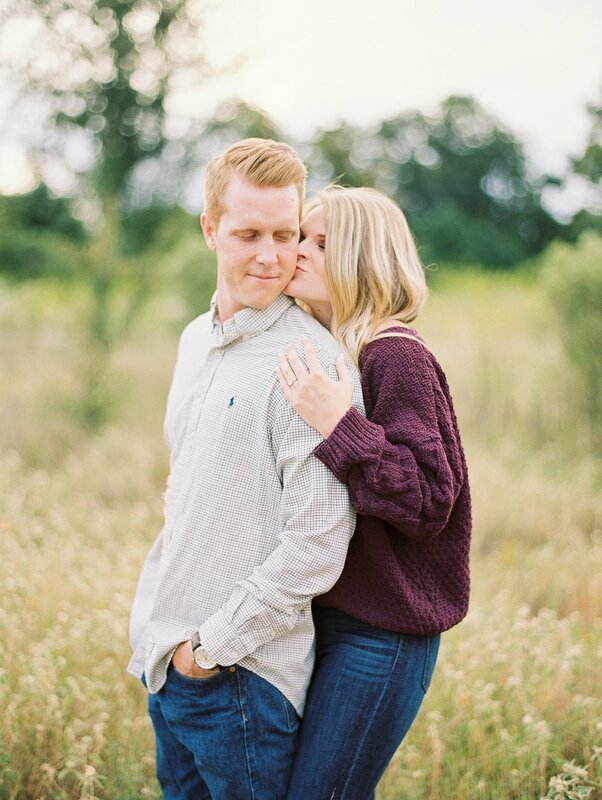 Be on the look out for their classic portion of their engagement session soon too! !